Now that recruiting is out of the way and one semester under my belt, I feel like I have some extra breathing room to enjoy more of the fun that Austin has to offer. My biggest new year’s resolution is to see more live music, and what better place to enable my success than the Live Music Capital of the World? Being a musician, it wouldn’t hurt to get the chance to perform some of that live music as well. Victory Grill: I had the chance after our first day back of the spring semester to check out Victory Grill’s weekly Monday night blues jam. 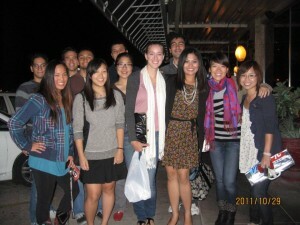 A few of us MPAs went, and have already made plans to go back. It felt like a neighborhood bar for regulars to come and play sweet blues music, taking turns on the stage to wring out their troubles. Red River: Not a single venue, but a strip of clubs, bars, and music venues. 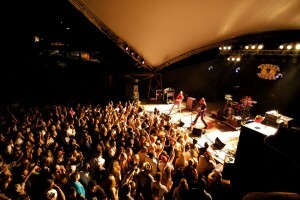 Stubb’s BBQ and Mohawk regularly feature relatively well-known touring artists in addition to some of the local greats. Then there are several smaller venues and bars clustered around that frequently host live music. The Legendary White Swan: This one, another neighborhood bar, has been on my list for a while, but I haven’t made it down there yet. They host a variety of local artists, from blues to punk to roots country. Sahara Lounge: Another venue that recently appeared on my radar, the Sahara Lounge is the most eclectic on the list. The variety of music that can be found here includes Indie, African, Blues, Rock, Country, Swing, Brazilian, and Funk. Any takers? Any other venues I need to check out?